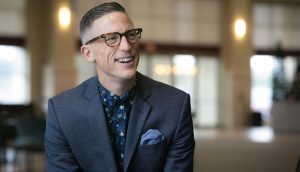 Oklahoma Baptists can expect a sense of urgency this year at the State Evangelism Conference (SEC), Jan. 29-30 at Oklahoma City, Southern Hills. The day before SEC begins, Southern Hills will host Night of Prayer, beginning at 5 p.m. All those attending SEC are additionally encouraged to attend Night of Prayer as Oklahoma Baptists prepare their hearts for the following days. Napier said the focus of Night of Prayer is to seek out people from all corners of the state, from different sizes of churches to join together lifting voices in praise. Doors will open for the Monday session at 7:45 a.m., and the exhibit area will be open to SEC attendees. The exhibit hall will host booths from ministries like the Baptist Messenger, The Baptist Foundation of Oklahoma, BGCO Evangelism and more. Those who plan to visit the exhibit hall should schedule ample time to see each booth and learn about Oklahoma Baptist and national Southern Baptist ministries. At 9 a.m., the Senior Adult Session will begin. Junior Hill, Ken Davis and Anthony Jordan will be featured speakers. An experienced evangelist of more than 50 years, Hill is a former first vice-president of the Southern Baptist Convention. He has conducted more than 1,700 revivals, numerous foreign crusades and published many books. Matt Blagg will lead worship at SEC at Oklahoma City, Southern Hills. Davis is a best-selling author, motivational speaker and comedian. He received a Dove Award for his unique brand of comedy and Gospel message. Davis hosts a daily radio show, “Lighten Up!” and podcast, “The Art and Business of Public Speaking” geared toward those in ministry. Following the Senior Adult Session is the Senior Adult Lunch, which is provided by Oklahoma Baptist Disaster Relief, and is free and open to the public. Leading worship in the Senior Adult Session and for the duration of SEC is Matt Blagg. 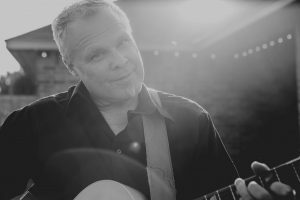 A talented musician whose music “brings friends and families together in a fun and upbeat way,” according to his website, Blagg has been involved with “Behind the Walls” prison ministry since 1997 and said his goal is to spread God’s amazing love around the world that needs more of it. Other speakers to anticipate at SEC include Art Hallett, David Burton, Dave Edwards, Don Wilton and John Sorenson. The exhibit hall closes at 5 p.m. in time for the Evening session which begins at 6:30 p.m.
Ed Newton will speak Mon., Jan 29. 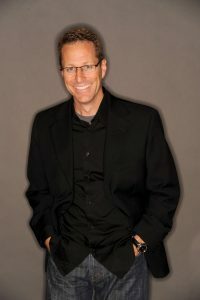 Ed Newton will be the featured speaker of the evening session on Monday, Jan. 29. Newton is the senior pastor at San Antonio, Texas, Community Bible. Newton is a well-known evangelist and author who “has an intentional burden to speak into the Church of Christ towards revival, leadership, evangelism, discipleship, leadership, missional living and for the ‘next generation’ to become the ‘now generation’,” according to his website. Newton has taught at Falls Creek and other Oklahoma Baptist events in the past. The Women’s Session begins at 9 a.m. on the second day of Annual Meeting, Tues. Nov. 14. Lina Abujamra, who spoke at this year’s Women’s Spring Retreat, will be the featured speaker. Abujamra is a pediatric ER doctor, the founder of “Living with Power Ministries” and author. Abujamra was born in Lebanon and frequently travels to her birth country to provide medical care for refugees. Attendees to the Women’s Session can look forward to a passionate and powerful Gospel message. Tuesday’s schedule also features morning breakout sessions. The first set of breakouts begins at 9 a.m., and the second begins at 10:30 a.m. Breakout sessions will cover topics ranging from “Preaching For a Verdict,” directed by Don Wilton, pastor of Spartanburg. S.C., First and president of Encouraging the Word, to “Prison EE—A Proven Pre and Post Release Prison Ministry Plan,” directed by Art Hallett, the national director of Prison Ministries at Evangelism Explosion International. Throughout SEC, several meal options will be offered to attendees such as the Senior Adult Luncheon, the Oklahoma Conference of Southern Baptist Evangelists (OCOSBE), Bi-vocational and Smaller in Attendance Churches and the African American Pastors. To register for meals, visit www.sec.okbaptist.com/meals. Napier reflected on attending SEC in the past when he pastored churches. He said, “As a pastor, when I would come to the evangelism conference, God would speak to me in such a way that the spiritual rust would be knocked off. I would always leave with my heart softened. “A pastor would be remised to not encourage his congregation to come to SEC. 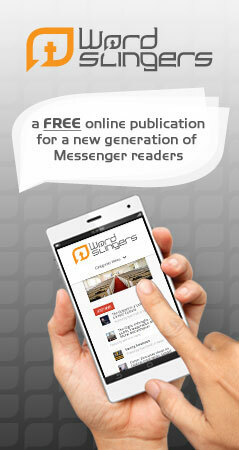 It is for everyone within all walks of life, within the church or outside of the church,” Napier said. SEC registration is free of cost, due to the Cooperative Program (CP). If travels funds to attend SEC are not available for pastors, the Evangelism office can offer help courtesy of CP. For details, contact Napier at [email protected], Bettsy Yarbrough at [email protected] or by phone 405/942-3800 Ext. 4313. Visit www.sec.okbaptist.com for more information about SEC, a full schedule, registration and more.